Denmark leads the way for green energy. We are in a green transition of all our energy system and buildings are the greatest guzzlers in our society. 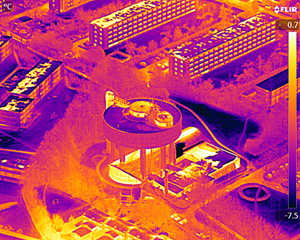 Danish aerial thermal imaging offers to thermograph aeras where heat radiation can be detected. To save energy is our common responsibility and shared best. 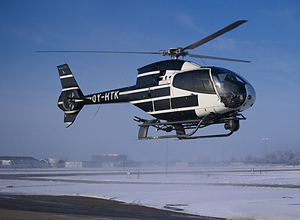 We use a two engine Partenavia for vertical footages. We fly late at night to avoid traffic and pedestrians on the roads. 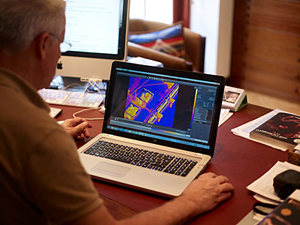 Engineer Lars Thrane has a past as an expert in monitoring the earth's surface from aircraft and are able to advise and analyze thermographs.